THANK YOU FOR PARTICIPATION IN IWMN-2016! 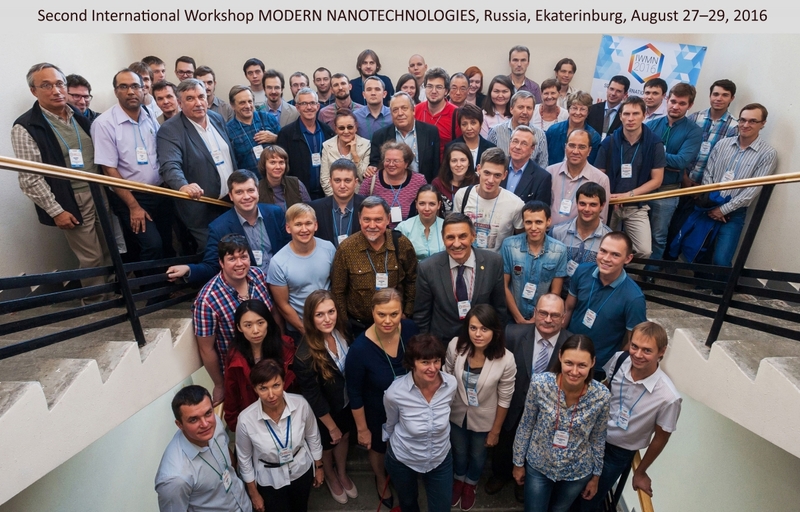 On behalf of the local organizing committee it is pleasure for me to thank all the participants of the Second International Workshop “Modern Nanotechnologies” (IWMN-2016)! IWMN-2016 welcomed about 100 participants from 12 countries and 14 cities of Russia. The workshop witnessed 5 industrial, 17 invited, 18 oral, and 74 poster presentations. The proceedings will be published as a special issue of FERROELECTRICS journal. Organizing committee acknowledges sponsors and exhibitors: Taylor&Francis, Russian Foundation for Basic Research, NT-MDT, INTERTECH Corporation, SPECS, Synercon, OPTEC, and KDSI. You can download the best workshop photos here (Google photos) or here (zip-file). Proceedings of the Workshop will be published in the special issue of Ferroelectrics journal. The Workshop will be held just after 2016 Joint IEEE International Symposium in Darmstadt.